Richarlison was the star of the show as Everton beat Brighton 3-1 at Goodison Park this afternoon. Here's how we rated the players of both teams. England's number one was rooted to his line as Dunk headed Brighton's equaliser. One fine save to push over Jahanbakhsh's 20-yard shot, otherwise little to do. Broke quickly down the right early on but Sigurdsson was unable to turn home his low cross. Always a threat when advancing from full-back. Drilled home Everton's second with a sweet strike from 20 yards. Solid at the back and had a good battle with Murray. Headed over from a free kick in the second half. Headed Digne corner wide under pressure on 18 minutes. Lost Dunk which allowed Brighton's defender to make it 1-1 on 33 minutes. Joined from Barcelona for £18m in the summer. A threat from set-pieces and looked comfortable in possession. Portugal international is on a season-long loan from Barcelona. Composed and classy on the ball in the middle of the park. Hard work battling for the ball led to Coleman scoring the second. Neat and tidy. Always available for a pass. Unlucky to see left-footed shot come back off a post early in the second half. Pacy threat. Missed glorious chance to make it 2-1 when he volleyed Bernard's cross over from close range just before Everton's second. Had two excellent chances he should have done better with early on. Set up the first goal with inch-perfect pass for Richarlison. A threat throughout. Brazilian joined from Shakhtar Donetsk just before the transfer window closed. Played a part in Everton's opener as the hosts broke quickly from a Brighton corner. Pulled the ball back for Walcott to blaze over from close range. Subbed. Summer signing joined for £40m from Watford to again link up with Marco Silva. Took his two goals superbly. Man of the match. Got just over 20 minutes. A couple of minutes at the end. Unused: Maarten Steklenburg, Leighton Baines, Cenk Tosun, Tom Davies. No chance with any of the goals. Dealt with crosses into the box but didn't have many saves to make. Had to use his experience up against tricky winger Bernard. Back at the club where he started his career. Headed clear several crosses into the penalty area, Richarlison skipped past the centre-half to make it 3-1. Booked for tugging back Richarlison on ten minutes. Headed home his first goal of the season when he met March's cross on 33 minutes. Mistake gifted Richarlison his second. Had his hands full up against pacy Walcott down the right but dealt with his threat pretty well. Fourth league start in a row. 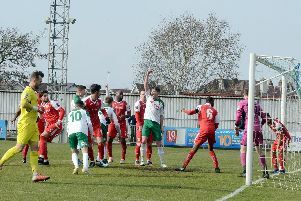 Short corner led to Albion's equaliser. Denied by Pickford late on. Hard-working as ever and looked to get Albion on the front foot whenever possible. Up against classy central midfield players in Gomes, Gueye and Sigurdsson. Wasn't able to get on the ball as much as usual. Albion looked to use his pace but the winger didn't have many opportunities to get forward. Subbed just past the hour. Looked to get on the ball and keep possession in the attacking third. Linked play well. Lovely cross set up Dunk to make it 1-1. Quieter in the second half. Physical battle with Keane and Zouma. Used his experience to win clever free kicks to ease pressure, mainly in the first half. Came on for Izquierdo just past the hour. Replaced March 20 minutes from time. Unused: Jason Steele, Leon Balogun, Bernardo, Jurgen Locadia.